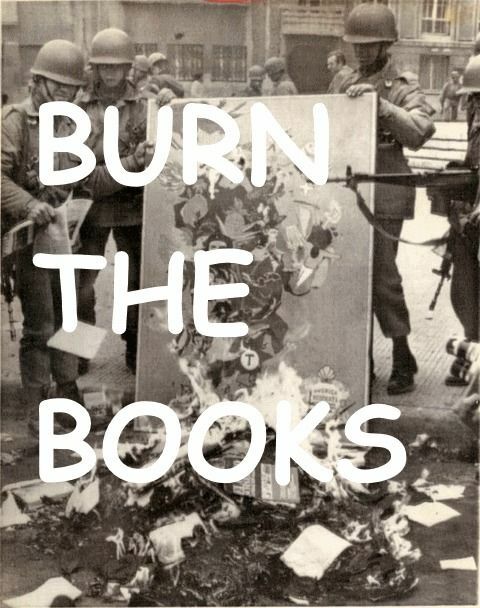 Enough is enough, it is time to burn the books in Africa, Central and South America, and all over the planet, books can be used in place of firewood. Paper books are fun, nice to put on shelves, and demonstrate to friends that we read. However, we all know that cutting edge books are now on Kindles, Nooks, and tablets. One smart phone can carry 1000-10,000 books. Paper books is going down the same path as land lines for telephone, everyone is dumping their landlines for cellphones, it is time to burn your books. There are 253 plus countries on the planet, and in 225 of them books, libraries, and knowledge is rare. We keep saying, let’s help them develop, however we often are telling them antiquated methods of learning. USA 1 for 2500 people. The average library in USA has around 12,600 books. The poor countries are crazy to buy paper books; they need to leapfrog one of our American backward systems, and go digital. How much does a 10 gig memory chip cost? More than a digital library. Mama Say’s is a way to tell the world to burn their books. “Hey here are free book! And, this is how you can read the on your cell phone. Here is the proof, go to Project Gutenberg, read this page; you will see that you can download a library of books. And there are 100’s of sources of free book, this is just the tip of the iceberg, knowledge is now free. Now read about Mama Say's, why, because Mama Says. 18 years abroad, in 107 countries. Did you know, with digital books, even the half blind can read, we can increase the size of the fonts to huge.